Firm foot: Eton Park Capital Management founder Eric Mindich. Mumbai: Eton Park Capital Management Lp., the hedge-fund firm founded by former Goldman Sachs Group Inc. partner Eric Mindich, acquired a stake in Reliance Capital Asset Management Ltd, India’s biggest mutual fund. Eton Park bought 5% of the unit of Reliance Capital Ltd, controlled by Anil Ambani, India’s third richest man, the Mumbai-based company said in a statement. Eton Park will pay Rs501 crore for the stake, valuing the company at Rs10,000 crore. The proposed investment values the money manager at about 13% of assets under management, the company said. Reliance Capital Asset’s valuation translates into a price of Rs400 per share of Reliance Capital. Reliance Capital shares have risen fourfold this year to a record Rs2,511.5 on Wednesday on the Bombay Stock Exchange, valuing the financial services company at $15.6 billion. Reliance Mutual Fund manages Rs77,300 crore, or 14.6% of the Rs5.3 trillion managed by Indian funds at the end of October, according to Bloomberg data. Tokyo-based Shinsei Bank plans to team up with Indian billionaire Rakesh Jhunjhunwala to sell mutual funds in the world’s second fastest growing major economy, two people with direct knowledge of the matter said last month. Prudential Financial, the second largest US life insurer, said on 4 December that it will acquire a 61% stake in a mutual fund venture with DLF Ltd, India’s largest real estate developer. 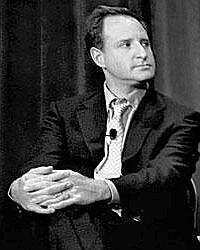 Mindich started Eton Park in 2004 with $3.5 billion, a record for a hedge fund startup size at the time. Eton Park’s investment returns were about 30% this year through 31 October. That compares with the 12% average gain by hedge funds globally, according to Hedge Fund Research Inc.